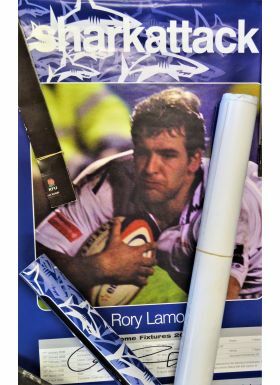 2008 Sale Sharks Rugby Posters, some signed (15): Bold photo posters, three both signed and unsigned (Jason White, Rory Lamont, Sebastian Chabal) and 9 others: Cueto (3), Foden (2), Lund (2), Sheridan & McAllister, unsigned, good. 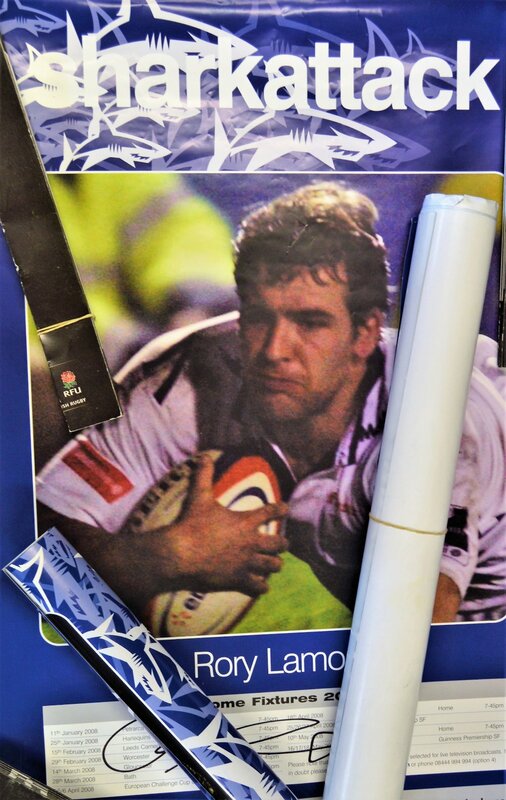 Also 3 used fans' Twickenham 'Try' foldout cardboard clapper cards. F/G.